A handsome club chair and ottoman set designed after Art-Deco Jazz pieces of the 1980s. This piece is incredibly well built using spectacular materials. 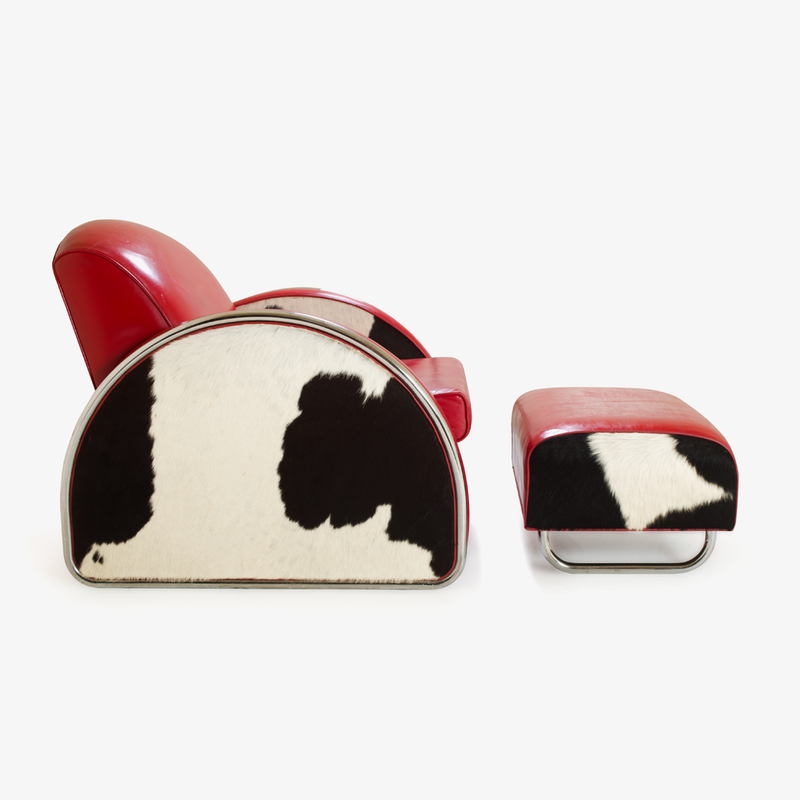 Leather, hair on hide, and chrome all work in concert as the framework of his design piece. 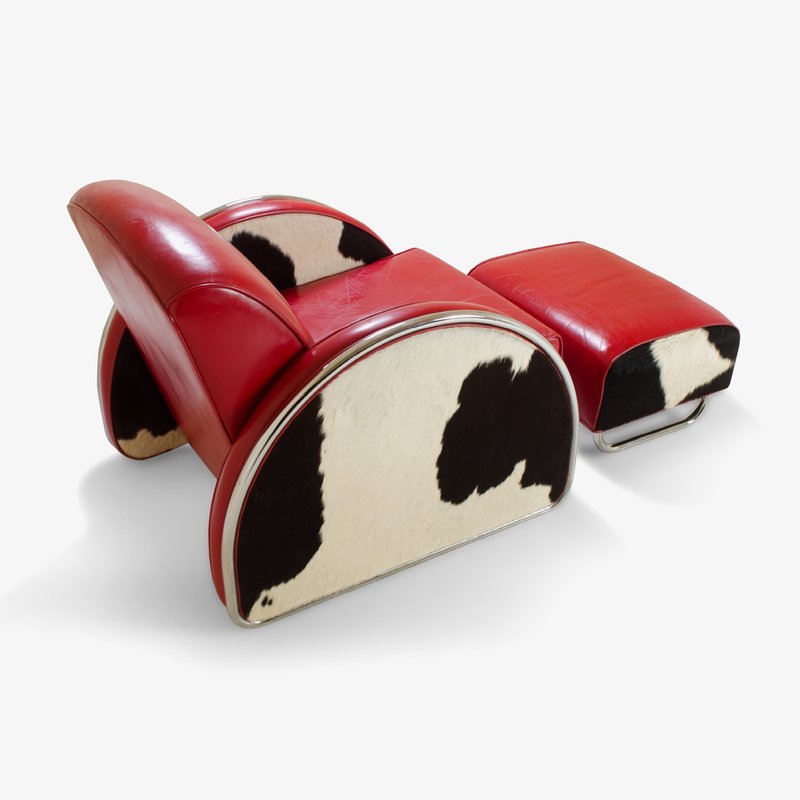 The top and back of the piece is upholstered in a red glossy leather patinated from age and history. The sides are upholstered in hair on hide, and the entire piece is trimmed with a chromed tubular detail. So very deco, perfect for the one statement piece every room needs.